One of the all time favorites on our yearly tasting table at the nursery. Firm and crunchy with a sweet sugar cane like flavor. 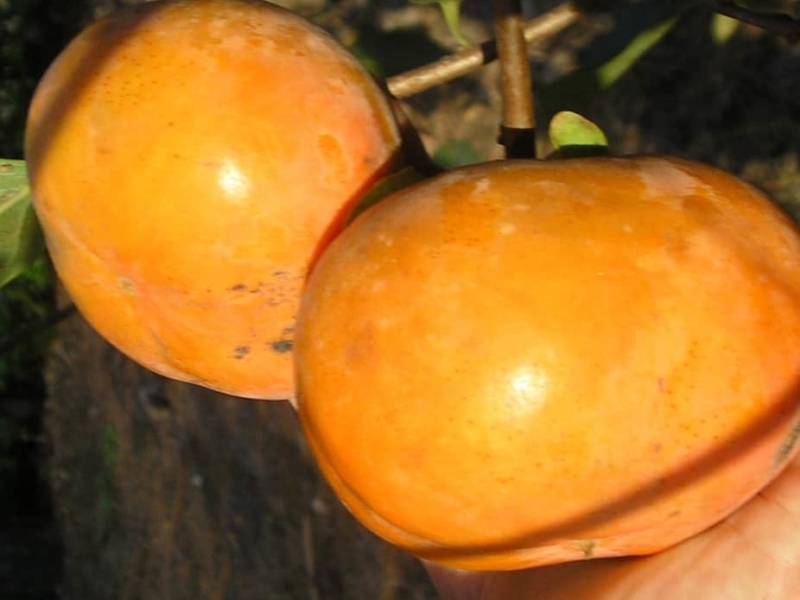 Maekawa-Jiro persimmon tree is a small growers, the trees rarely exceed 15 foot in height. Trees will fruit heavier with a pollinator Fuyu persimmon tree planted close by. Fruit ripens mid-October through mid-November.